Florida-based Biomass Investment Group (BIG), is embarking on a project using Arundo donax as an energy crop that will be grown on 20,000 acres (8000ha). The biomass will be converted into bio-oil, a heavy fuel oil, via a fast-pyrolysis process (for more on this process see previous post). This carbon-neutral oil will then be used in a power plant that will provide electricity to some 80,000 Floridian households. -- Arundo donax, also known as the 'Spanish cane' is a giant reed native to the Mediterranean. Originally the grass species adapted from subtropical climates but is now found in Cool Temperate Wet through Tropical Dry to Wet Forest Life Zones. It arrived in the U.S. more than a century ago and was planted to control erosion in California stream beds. Since then, it has become a noxious weed in some zones, with large campaigns aimed at eradicating it. -- The grass species is very hardy and needs virtually no fertilizers, nor any other means of protecting the crop with herbicides during its growth. -- The grass's bamboo-like stems can grow up to 6 metres in height (18ft). 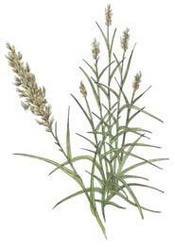 Arundo is strongly rhizomatous which results in dense patches. Dry matter yields of up to 50 metric tonnes per hectare have been recorded and 75 tonnes in the tropics, but 25-30MT/ha is a more realistic estimate for average yields in more temperate climates (see the plant profile in The Handbook of Energy Crops). --Assuming a dry matter yield of 30MT/ha/yr, at a gross heating value of 17.1GJ/tonne (see the Bioenergy Feedstock Characteristics at the ONRL's biomass website), then a hectare of Arundo yields around 84 barrels of oil equivalent. Grown in the tropics, twice that amount can be obtained. -- BIG will grow about 20,000 acres (8000ha) of Arundo on a Florida farm. It will then convert the biomass into a liquid fuel (pyrolysis oil), and burn it in a gas turbine. The waste heat from the turbine exhaust then produces steam that churns out additional electricity in a steam turbine. -- The resulting energy will be enough to power 80,000 homes on a continuous basis. Whitfield says the production process increases the facility's efficiency two-fold above current biomass methods. That will make it on target to produce energy at prices below what a conventional plant might produce. -- Bob Niekum with Progress Energy Florida says the reed-driven energy facility will be carbon neutral — that is, it will have no net output of carbon dioxide, known to contribute to greenhouse gases. Niekum says most environmental groups favor the project. But the Florida Native Plant Society and a other groups oppose it: Niekum and BIG say the reed's growth is easy to control, with a simple ditch around the farm. But Roger Anderson at Illinois State University isn't so sure. He says the giant reed can spread easily, clog waterways and even be a fire hazard. Anderson says many species proposed as biomass crops, including Arundo, are potentially invasive plants. another benefit that was not mentioned in the article is that perennial grass farming necessarily reduces ATM CO2. why? because C4 perennial grasses have a fiberous root system that sluffs off carbon into the soil. so even tho the feedstock that is processed into fuel is carbon neutral, y/y there is more carbon in the soil under these grasses. which means that errosion is not only eliminated but soil structure and fertility is increased. trees and traditional ag farming both reduce soil carbon. in essence, biomass from trees and/or ag is NOT carbon neutral. only grass farming (that im aware of) is carbon negative. tho the problem with grasses is that the processing the grass into energy has been inefficient in the past. cellulosic ethanol will help that but this still isnt our savior. a better conversion technique needs to be developed before grass farming can really take off. Carbon neutral has recently become a hip new phrase. Industries are one of the largest producers of carbon dioxide so hearing about a company that will use carbon neutral oil is great news for global warming. There are now even companies that can neutralize the carbon used for example when travelling. All of this is progress that our environment desperately needs. Note how much better this grows in the tropics. If biomass energy really takes off (that is, really is economically competitive), then I expect the tropical areas will be the low cost producers. Indeed, if the US is concerned about volatility in the face of supply disruptions then reducing oil demand in the tropics is nearly as good as reducing it at home. Shame about all the tropical rain forests that may get cut down, though. Because plants' respiration rates increase dramatically with temperature, the ideal climate for net photosynthesis gets a lot of light, has a stable moderate temperature, and sufficient water. Tropical highlands are the ideal. For many crops, the tropical lowlands are outperformed by the maritime subtropics. It is worth noting that, absent one silly US law, many of these odd contenders for producing biomass would already be out of the running. Industrial hemp requires minimal fertilizer and no pesticides or herbicides. Total biomass production is about 27 tons/acre in temperate climates, of which 3 tons or so will be high-quality fiber (usable for cloth, paper, rope/twine) and another ton of which will be high-quality seed (press it for oil, use the residue as animal feed). Annual cellulose yield per acre is higher than anything else you can grow. Although if you're going the pyrolysis route you probably don't care about cellulose vs other biomass as much. In a high-cost energy future, especially transportation energy, it seems to me that it makes a lot more sense to grow a crop where 20% of the biomass meets other needs and 80% can be used for energy. I don't understand why they don't burn directly the reeds in the electricity plant instead of using the intermediary stage of producing oil by pyrolysis. Each added stage would mean a decrease in yield. Besides, a more complex process means more cost and maintenance. BTW: strange that there are environmental groups to oppose this kind of project. I wonder what they really want ??? I don't understand why they don't burn directly the reeds in the electricity plant instead of using the intermediary stage of producing oil by pyrolysis. There is one group that says, "We don't have an energy problem, we have a liquid transportation fuel problem." They believe that there is plenty of energy in aggregate, and that we can use it to manufacture gasoline and diesel so people don't have to replace their cars. There is another group that says "We have an energy problem." Given the relative end-to-end efficiency of electricity in cars vs ICEs, these people would favor burning stuff to directly produce electricity. While there are many details, the comparison between electricity and ICEs favors electricity by about 2:1 and is dominated by the thermal efficiency of electricity generation at 40% in today's plants versus 20% in ICEs. But an "electric car" solution clearly requires that everyone replace their car. The first group says, "You don't have adequate affordable storage technology." The second group says, "You haven't shown that your processes are net-energy producers and scale to truly large sizes." Myself, I simply believe that we have a total available energy problem (at least through the next 10-50 years) and cannot afford to disregard the 2:1 advantage. Biomass ash is fairly alkaline stuff (lots of potash), so corrosion may be a problem. I know this is an issue with the slag in biomass gasifiers. Granted, 'bio-oil' is not all that friendly itself; you aren't going to be able to easily use it as fuel for vehicles. Transportation cost is also an issue with biomass. They may be planning to pyrolyze close to the points of production and transport the liquids to a central generating facility. Wait, I see they are planning to use a gas turbine. Pyrolysis is a substitute for gasification, not for direct combustion. Of course you can't just feed raw biomass into a combustion turbine. "I don't understand why they don't burn directly the reeds in the electricity plant instead of using the intermediary stage of producing oil by pyrolysis." All plant matter contains lots of moisture, which makes a burn very inefficient. Extracting the oil from the plant matter means you take the moisture out. You end up with much less volume and mass to transport, as already pointed out in a previous post, and you have a material which will burn hotter and more efficiently. If we are to use grasses as bio-fuels then we need to use the best .Arundo is the very best all around .I ask that you visit our site and see why Arundo is the king of grasses for bio-fuels and beyond. You only plant it one in our life times . We can get two cuttings a year in USA southren states at 20 plus tons an acre TWICE A YEAR! Leafs alone can be used for cattle and deer feed ! Dry wall can be made from it have you priced drywall today ? Please help me. Does anybody know how much energy can be obtained from 1 metric ton of Arundo Donax?. By means of fuel oil - fast pyrolysis. Where in Florida is this being grown,and by whom exactly? Has anyone contact information for BIG? Anyone who wants to grow healthy plants should know that location is one of the most important factors that governs successful growth of plants. Most people buy a plant, go out into the garden, dig a hole somewhere, and place the plant in the soil: and when the plant fails to grow, they blame the nursery or soil. Site selection is vital if you want your plants to grow and thrive. Choosing the best site can save a lot of frustration and headaches. very interesting information, you have excellent sources!!! hello friend this information about Arundo donax for electricity, I think that another benefit that was not mentioned in the article is that perennial grass farming necessarily reduces ATM CO2. Hello people want to express my satisfaction with this blog very creative and I really like the views of the focus very good indeed Thank you for the helpful information about Arundo donax for electricity . I hope you keep up the good work on making your blog a success! That was a great idea for they made a new machine that will convert an energy. And it seems that we also need a lot of plants for the disposal waste of the machine and the plants are very useful in that situation. Is there any idea that would be share. By the way, this was a great information and thanks for this. That would be a good idea since we could consume lots of energy. Found another great article on this blog not that long ago so I am not surprised that I found another great one.